The National Park Service this week designated the Carrizo Plain Archeological District in California as a National Historic Landmark. The remote eastern edge of San Luis Obispo County represents a unique concentration of ancient sites, art, and artifacts. Anthropologists, archeologists, artists, and novelists have all recognized the outstanding significance of this important archeological district for almost a century. 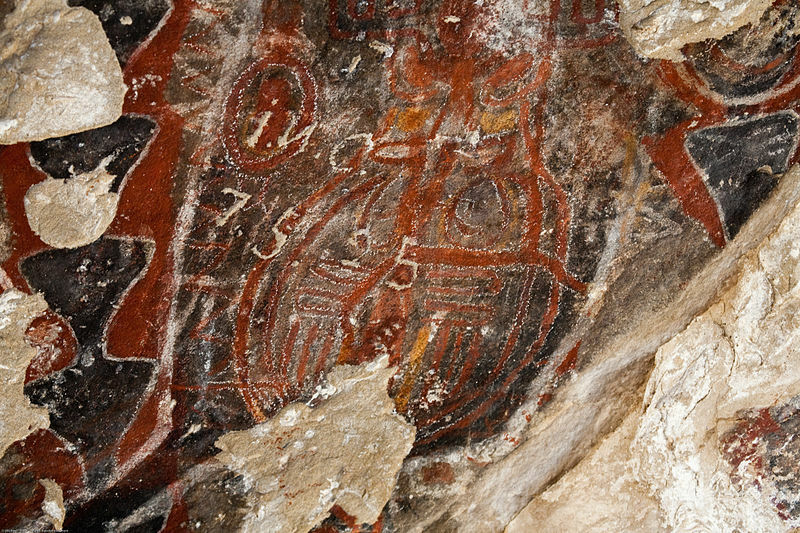 Pictographs on Painted Rock at the Carrizo Plain National Monument, on BLM property near Soda Lake. The Carrizo sites contains a wide variety of sites, including rock art panels and motifs, village midden deposits, quarries, and rock cairns. Eighteen of the properties are pictograph sites; these represent what is probably one of the largest and best concentrations of painted rock art in the U.S. The information found at these locations illustrate a worldview that was shared by many North American precontact hunter-gatherer groups. The district sites also reflect both the demographic expansion that characterized much of the western United States about four thousand years ago and the population collapse that emerged about a thousand years ago as a result of what is called the Medieval Climatic Anomaly.